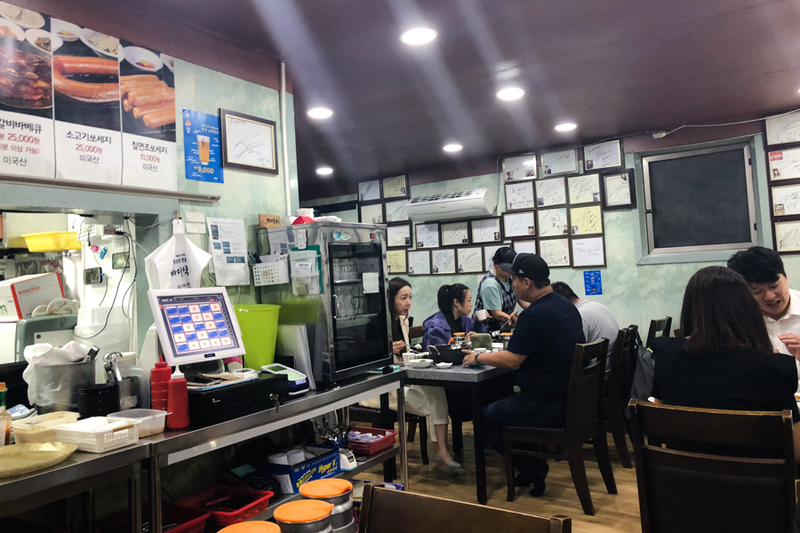 [Seoul] Located in the trendy Itaewon district, Bada Sikdang 바다식당 is a traditional-looking Korean restaurant that specialises in the popular Budae Jjigae (Army Stew). 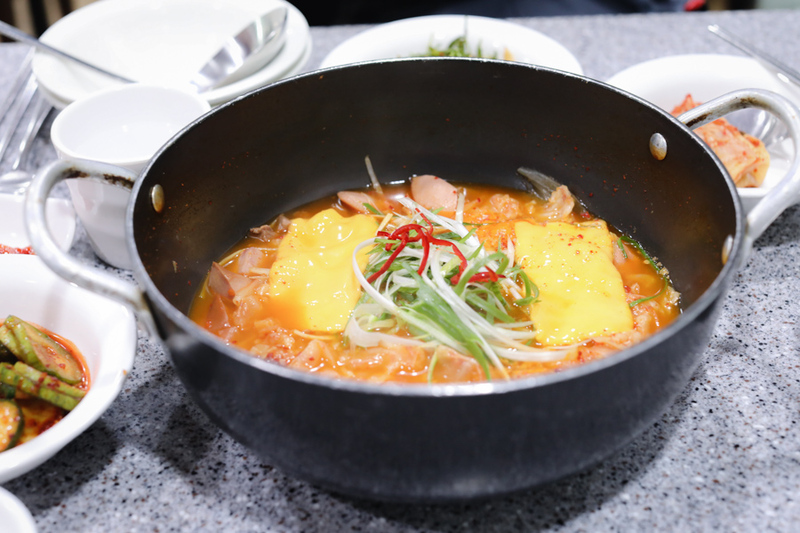 While searching for “Best Army Stews” in Seoul, I came to realise that the same dish of Budae Jjigae can take quite varied forms. And they are not likely to be the same as those tried back home in Singapore. 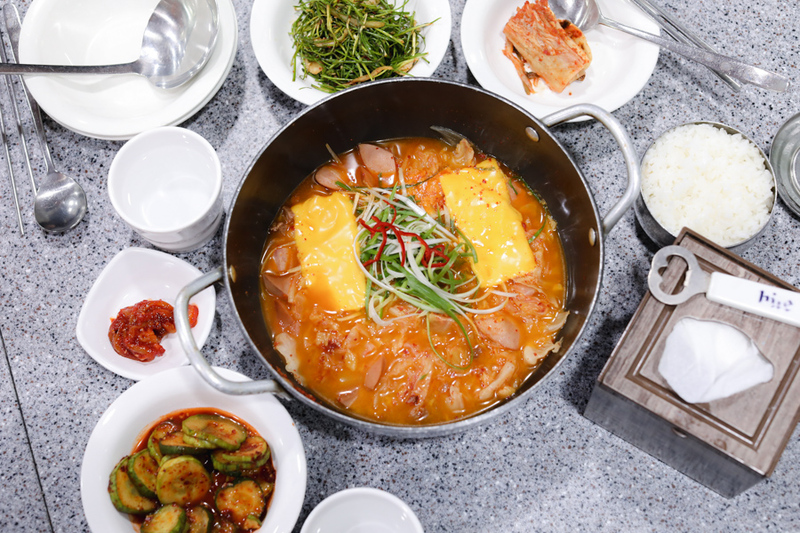 While this famous dish was invented right after the Korean War and typically consists of ingredients made up of processed and canned food such as baked beans, ham and sausages, Bada Sikdang offers a take that is original to theirs. 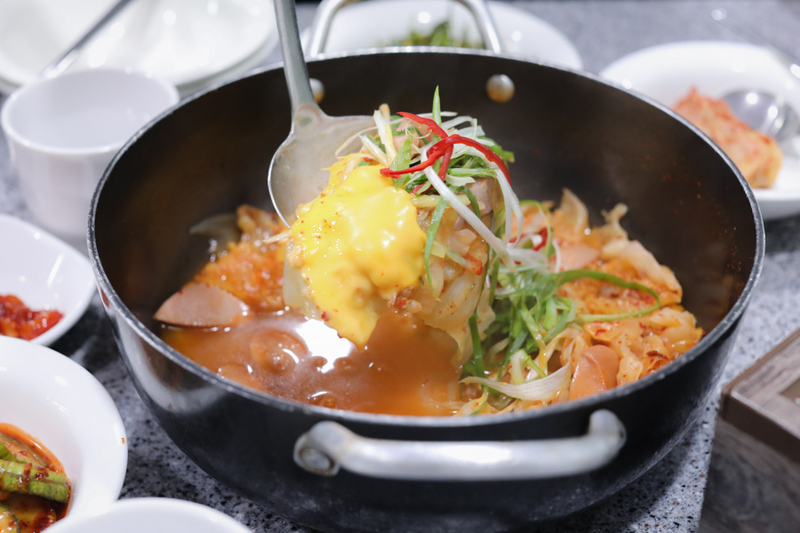 It is called “Johnson Tang” or “Jonseun Tang” (强森汤) who sounds like “strengthening-body soup”, and does not use kimchi as its base. 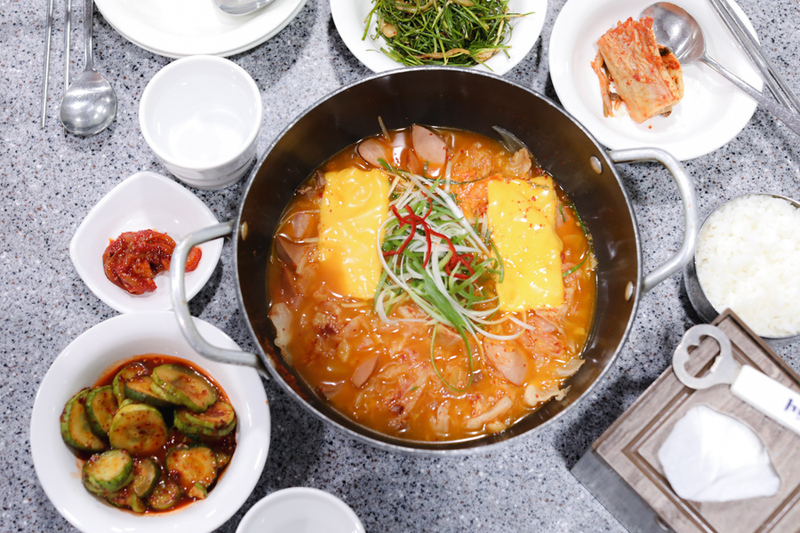 Bada Sikdang’s Budae Jjigae is cooked with beef bone broth, added with “high-quality ham”, sliced cheese and plenty of cabbage. The owners have been using the same recipe more than 45 years. This place is frequently visited by both tourists and locals, attracts a number of local celebrities that walls are lined with photos and framed autographs. As for the interior, the restaurant is situated inside a traditional 1-storey building and boasts dozens of low wooden tables. That means that you will have to eat while sitting on a mat and take off your shoes. 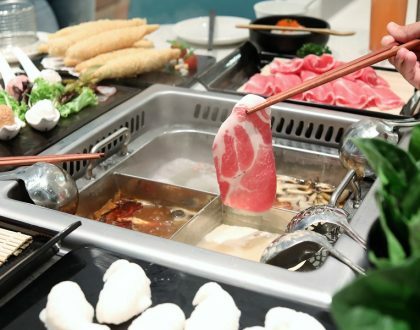 The service is quite fast, and you get your food in about 10 minutes, but sometimes you’ll need to wait in line before being seated as it is popular with office workers in the vicinity. 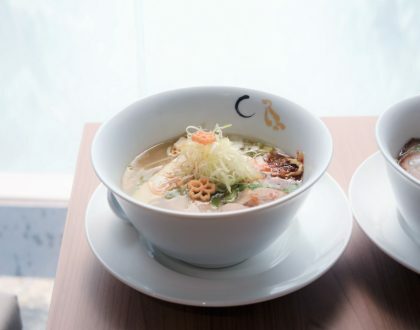 If you come in a small group or pair, you can order a small pot, priced at 20,000 Won (SGD24.20) meant for 2 pax; or a larger pot at 40,000 Won (SGD48.50) for 4 diners. I won’t say that I immediately liked this Army Stew, as it didn’t contain the usual ingredients that I fancied, such as sliced meat, instant noodles and baked beans. As there was no kimchi used, there wasn’t the familiar spicy-tangy savour. Tasting like a distant cousin of Minestrone soup, this is best pair with rice. The taste may grow on you, with the sweetness from the cabbage and slight saltiness of the sliced cheese. I can imagine people liking this because it is cleaner-tasting, not as rich and heavy, and has a unique not-that-artificial taste. 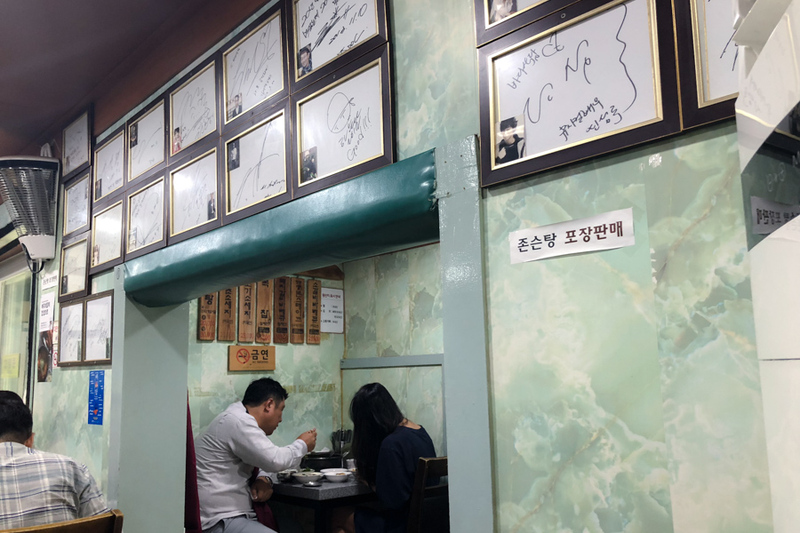 Other than the Johnson Stew, some of their other signatures include T-Bone Steak (30,000 Won), Pork Neck cooked with barbecue sauce (15,000 Won), Sogogi Beef Sausage (25,000 Won), Turkey Sausages (10,000 Won). 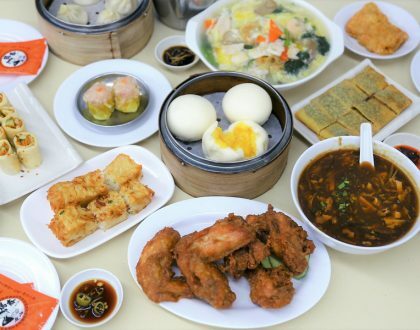 A way to reach this place is to take subway to Han Gang Jin station (Line 6, Exit 1) and the restaurant is about 500-600 meters walk away. 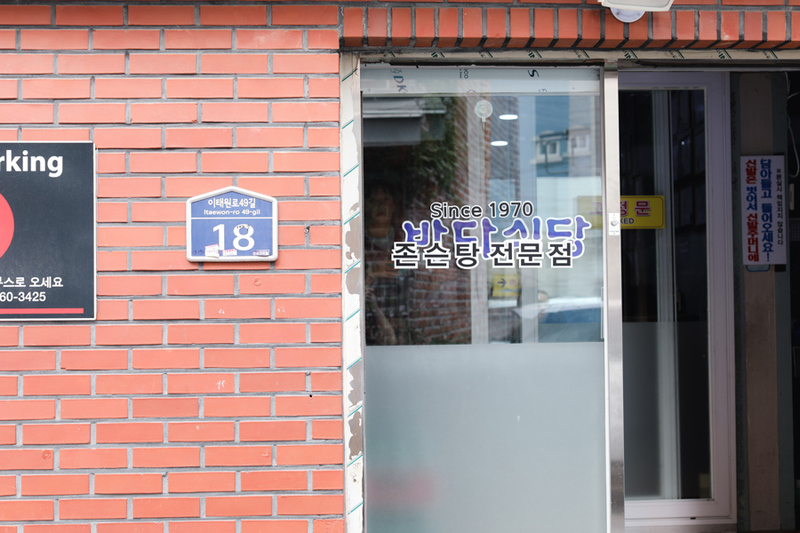 Leave some space for Itaewon-cafe-hopping after the meal.